Save Little Shaurya, suffering from a rarest disease "Hunter Syndrome"
My sister is proud to be a mother of 5 years old son Shaurya, but dying by knowing that her kid is growing with a life threatening rare disease Hunter Syndrome (Mucopolysaccharidosis, Type-II). This disease has been diagnosed by experts in CMC Vellore and AIIMS, New Delhi, India. He has enlarged liver & spleen. His joints are getting stiffer. 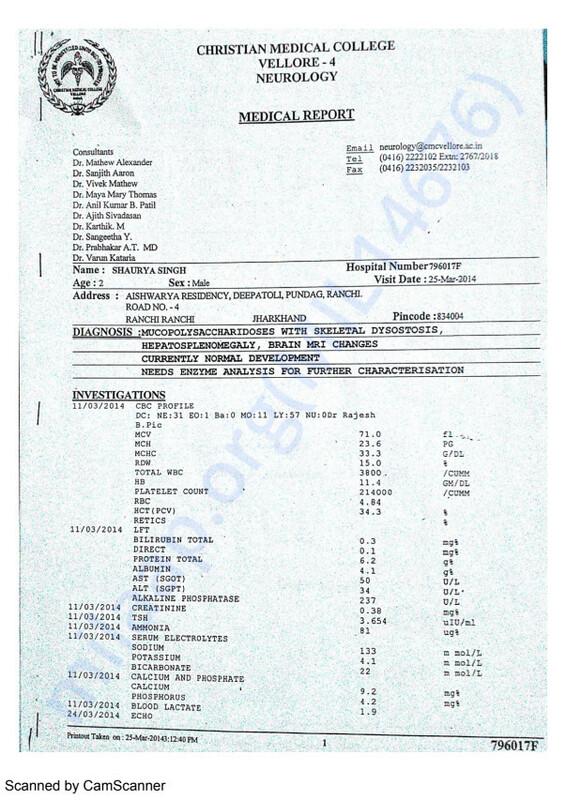 He has frequent cough and cold and running nose, severe breathing problem. He can't speak clearly. 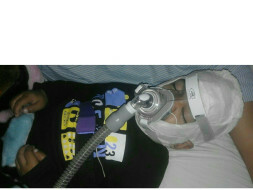 His body growth is not normal & advised for urgent Neuro-Surgery, his health is deteriorating day by day. His life expectancy is very low. The medicine of this disease is not available in India and the treatment is Enzyme Replacement Therapy. 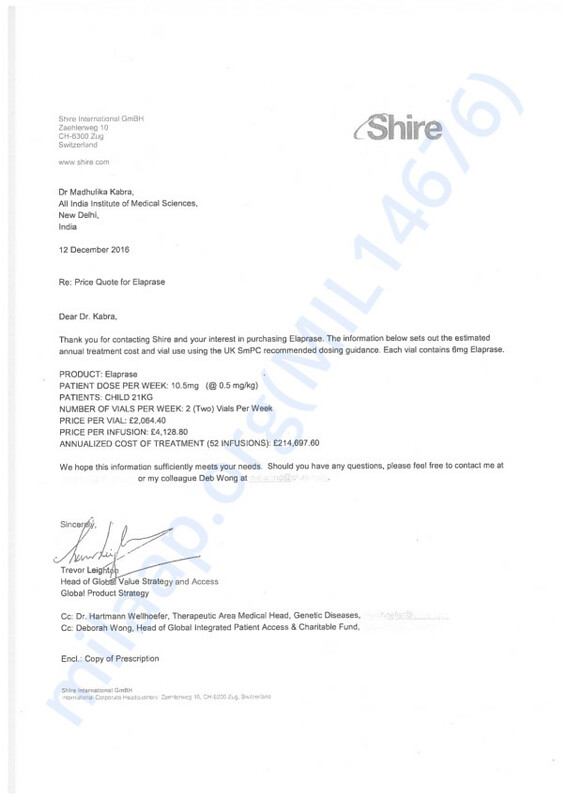 Some foreign companies are selling the medicine at very high cost. It is not affordable for her to buy the medicine in her whole life. If the drug is not given to her child on time it will be very difficult to save his life. I need help to provide this treatment as soon as possible, so that her child can survive. Shaurya is first diagnosed with this disease at the age of 2 year 4 months at Christian Medical College, Vellore, India in March'2014. We again took Shaurya to All India Institute of Medical Sciences, New Delhi, India to re-confirm and they also confirmed the same diagnosis. Doctors advised us to take govt. help and also to raise fund for the treatment of Shaurya as the medicine is not available in India and this too is very expensive. Since then 3 years has passed and we have been running from pillar to post to raise fund for the treatment of Shaurya to get some relief from somewhere have knocked every possible doors for help so that we could reach to the medicine, but our petitions and appeals are going unheard by the government . We have left no stones unturned, but as it is unaffordable for us in our lifetime we are helpless, and appeal to the people of this world to come to the rescue. Media has also raised their voice and appealed the State Govt. as well as the Govt. of India to save little Shaurya several times but still no action has been taken by the government. There is an urgency to give him the Enzyme Replacement Therapy (ERT) immediately, in the absence of which his health is deteriorating day by day and we are watching our child slipping into the jaws of death every moment. Please help us by funding and share this message with everyone so that her child can get the treatment as soon as possible. 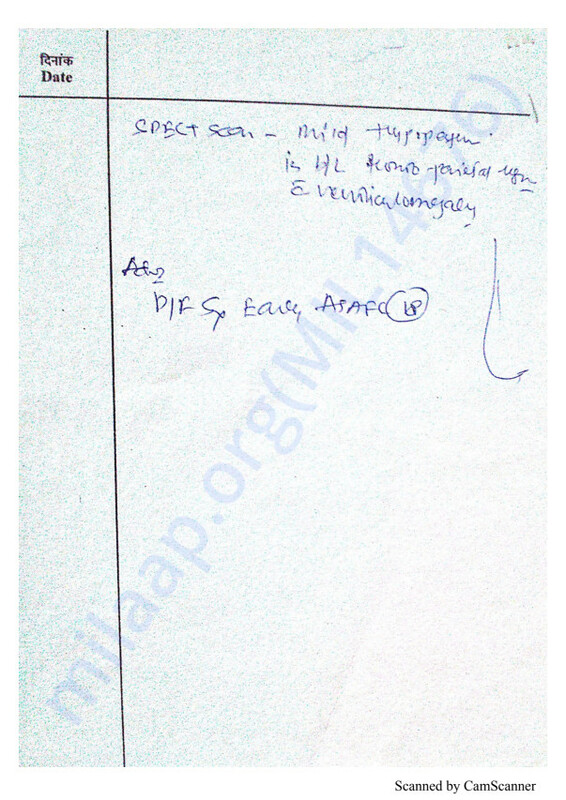 Brain Spect Scan Report - Neuro-Surgery Dpt. AIIMS Delhi. 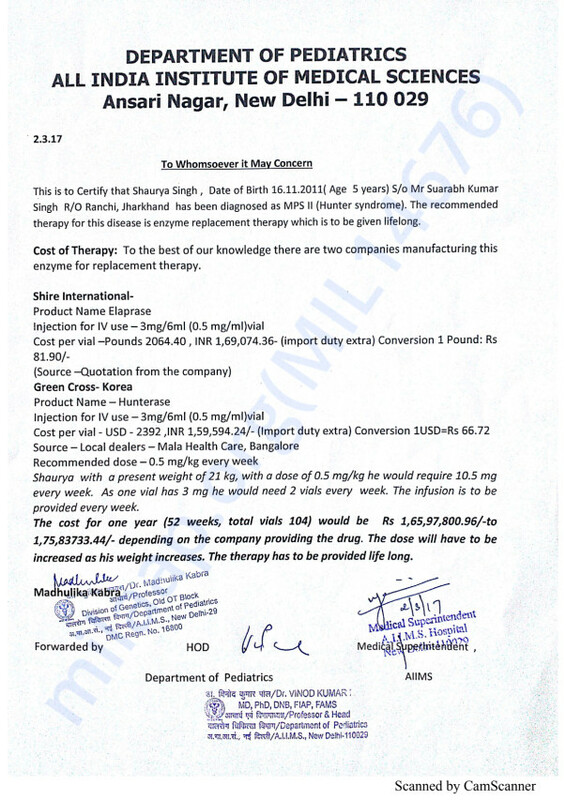 Price Quotation by the Pharmasutical Company to AIIMS for treatment. 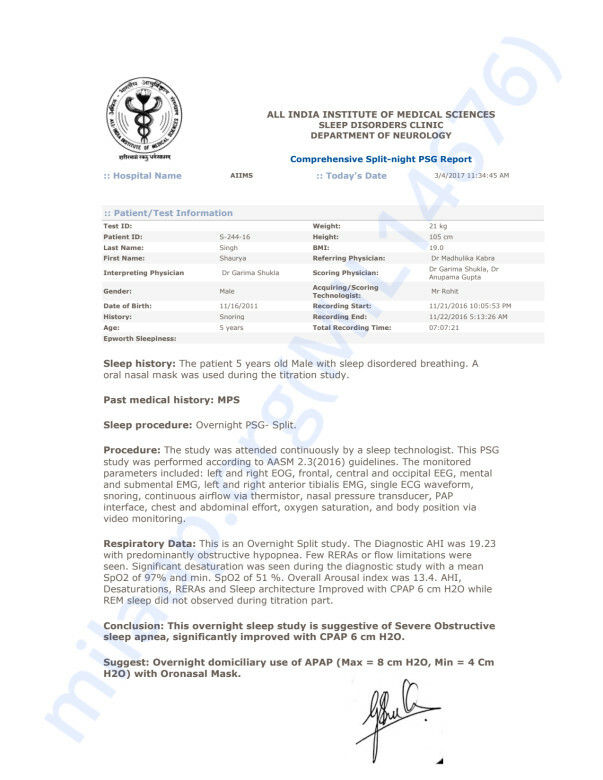 Sleep Study Report by Neurology Dept. AIIMS, New Delhi. 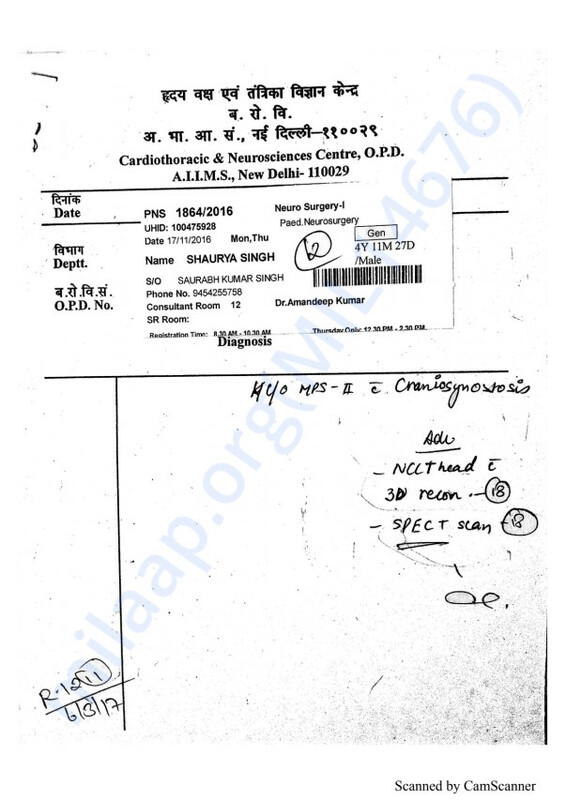 Estimated Cost by AIIMS, New Delhi for the treatment of Shaurya. 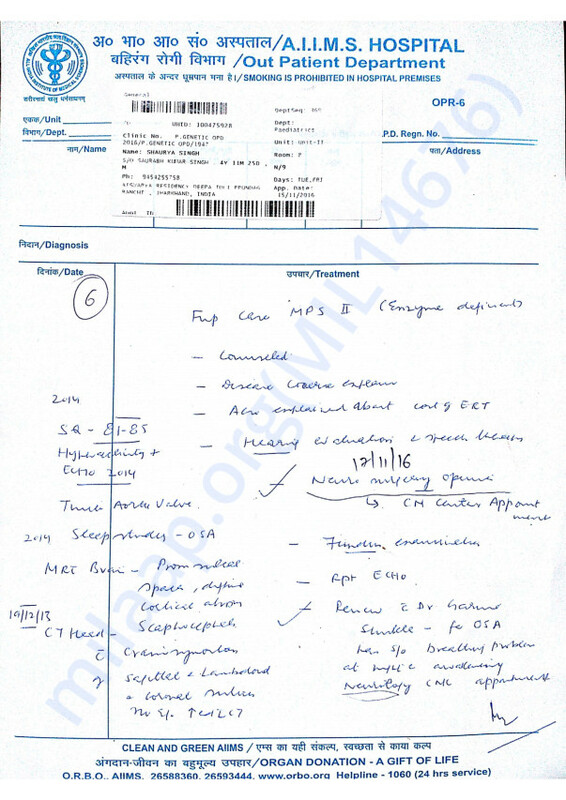 Neurology & Neuro-Surgery diagnosis by AIIMS, New Delhi. Shaurya's health condition is deteriorating day by day. He has just gone through two different Surgery in Sir Ganga Ram Hospital, New Delhi on dated 13/10/2018. We are trying to reach our goal to start the required therapy to save his life but trying to overcome his pain by contacting the Doctors. Thank you all of you for your kind support. Wishing You a speedy recovery.God Bless You.